U.S. Shipping Cut Off Times: All orders received before 2:00 PM EST Monday thru Friday will ship that same day or on the requested future shipping date. Orders received after 2:00 PM EST will ship the following business day. Delivery Guarantee: While we make every effort to ensure the accuracy of all information, we reserve the right to make corrections if an error does occur. Please check all addresses carefully. We guarantee delivery only to the addresses we are given. Incorrect address may also delay shipment and your order may be subject to additional charges for address correction or forwarding by our delivery service. We make every effort to deliver your order by the time promised, using the most effective delivery service available. Please be aware adverse conditions can affect shipments, such as severe weather, natural disasters, unscheduled events, holiday season, etc. Products, baskets, and bows will vary according to availability. If substitutions are made, they will be done to equal value. Any seasonal ornamentation will be adjusted to accommodate the appropriate time of year. All Reid's Fine Foods orders are shipped directly from North Carolina. Cooler Bags and Cold Packs: Some perishable gifts incur an additional charge to guarantee perfect delivery. An additional surcharge, or requirement to use expedited shipping may be added to your order. Gifts that require additional handling will be noted on the individual product page. Orders containing perishable gifts which may need to stay cool, such as chocolate, will be packaged in Cooler Bags with Cold Packs during the warmer seasons/days. This special packaging helps guarantee the quality of the products for up to 2 days and which will gradually defrost during transit. 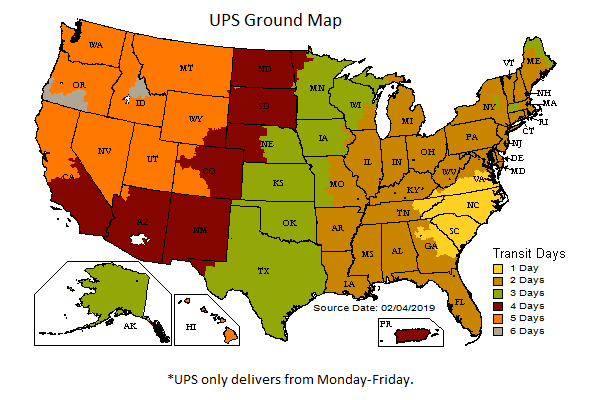 Any shipment traveling outside of the standard 2 days delivery area will need express shipping. Our website will help with choosing the correct shipping needed for your order. Please note: Reid's cannot be held liable for damage to your shipment from heat exposure. Many of our gift baskets contain wine. We will only ship wine gift within the US, there are some states where local laws prohibit us from shipping. You may return new, unopened items sold and fulfilled by Reid's Fine Foods within 30 days of delivery for a full refund. We'll also pay the return shipping costs if the return is a result of our error. Items should be returned in their original product packaging. Please contact us at (800)-988-9855 or customerservice@reids.com for complete instructions on how to return a product to us. Information gathered by Reid's Fine Foods is strictly confidential. We value each one of our customers and their privacy. We give every consideration to assure that confidentiality is maintained, and will not sell, share or rent any of our customers' information to others. Our shopping cart is a secure shopping server established to protect our customers' privacy. Welcome to Reids.com the Internet site for Reid's Fine Foods. Your use of Reids.com is subject to the following terms and conditions. Ownership and Use of Site Material: All of the content you see on the Website, including all of the page headers, images, illustrations, graphics and text, are subject to trademark, service mark, trade dress, copyright and/or other intellectual property rights or licenses held by Carolina Select Brands, LLC. The content of the Website is intended solely for personal, noncommercial use by the users of the site. You may download, print and store selected portions of the content, provided you (1) only use these copies of the content for your own personal, non-commercial use, (2) do not copy or post the content on any network computer or broadcast the content in any media, and (3) do not modify or alter the content in any way or delete or change any copyright or trademark notice. Carolina Select Brans, LLC reserves complete title and full intellectual property rights in any content you download from the Website. Except as noted above, you may not copy, download, reproduce, modify, publish, distribute, transmit, transfer, or create derivative works from the content without first obtaining written permission from us. Sales Tax: We will automatically charge and withhold the applicable sales tax for orders from/to be delivered to addresses within NC. Each customer shall be solely responsible for all sales taxes. Inaccuracy Disclaimer: From time to time there may be information on the Website, in an email to you or in our catalog that contains typographical errors, inaccuracies, or omissions that may relate to product descriptions, pricing, and availability. Reid's Fine Foods reserves the right to correct any errors, inaccuracies or omissions and to change or update information at any time without prior notice. Colors: We have done our best to display as accurately as possible the colors of the products shown on the Website. However, because the colors you see will depend, in large part, on your monitor, we cannot guarantee that your monitor's display of any color will be accurate.